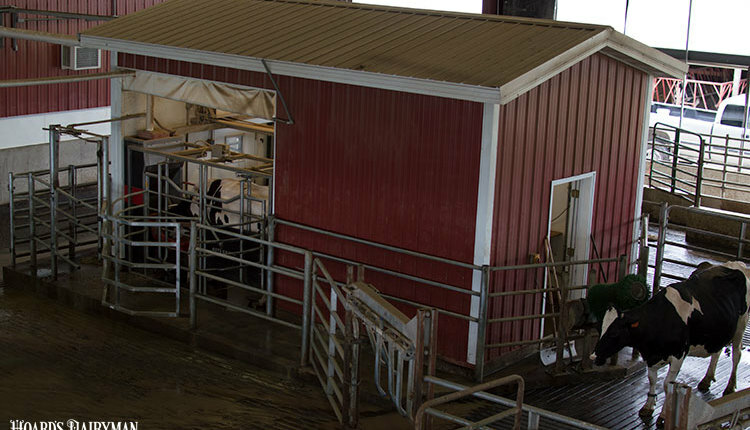 The dismal dairy economy took its toll as 2,731 U.S. dairy farms hung up their milking machines for the final time this past year. That reduced the number of commercial dairy farms in the U.S. to 37,468. On a sheer number basis, those 2,731 closures represented the most exits since 2007 when 2,940 dairy farms shuttered operations. In that era, mailbox milk prices had plummeted from 2004’s high of $15.90 per hundredweight down to $12.84 just two years later. Margins for selling milk have been under similar pressure this time around. On a percentage basis, the impact was even deeper. 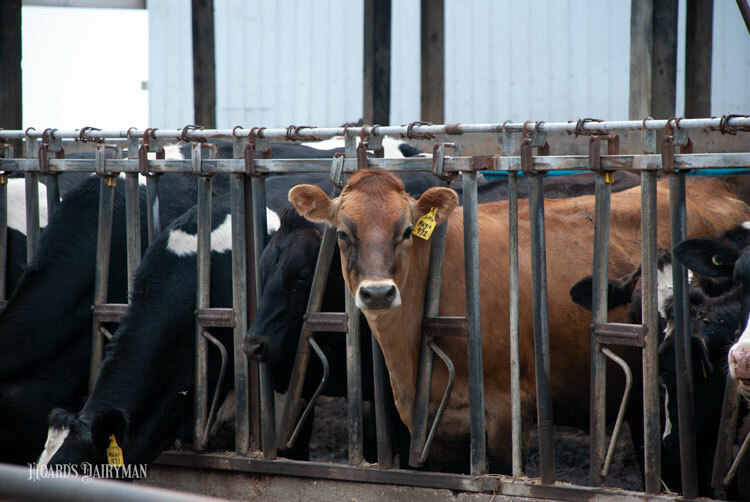 Overall, 18 years have passed since there have been more farms that quit milking cows. In 2001, 7.3 percent of all U.S. farms exited the dairy business compared to 6.8 percent this past year. Overall, 1998 had the highest percentage of exits at 8 percent. Dairy cows and farms continued to consolidate into clusters. 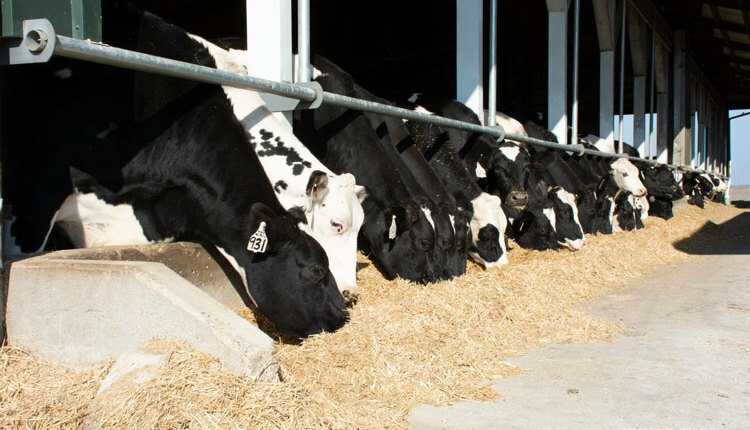 When evaluating the top 10 dairy states with 900 or more farms, that group lost 6.6 percent of its farms last year. For the remaining 40 states, losses totaled 7.8 percent. Since 1992, the drop in licensed, or so-called commercial, dairy farms has declined by 94,041, from 131,509 to 37,468. That’s a 72 percent drop during that time. 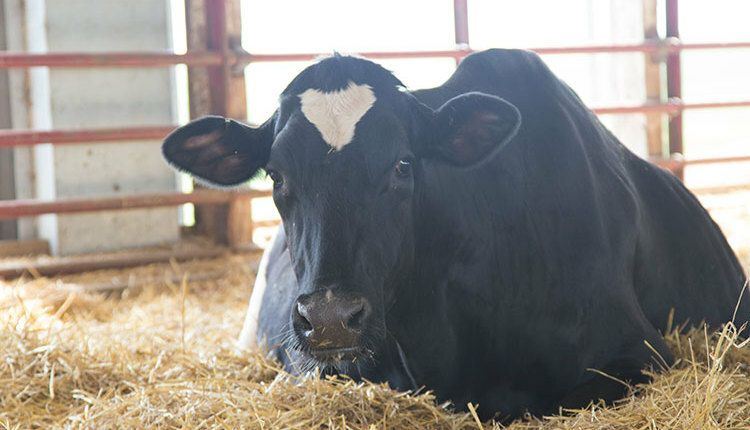 Nationally, average herd size has grown 240 percent, from 74 to 251 cows. Over the past year, herd size grew from 234 cows to 251 cows, up 17 head. Regionally, the West (+353) and the Midwest (+234) have seen the largest percentage gains in herd size. During this time period, herd sizes in the Northeast and Southwest grew at half the pace found in the Midwest. Western herds added 63 cows per herd last year, bringing its average to 1,192. That represented stronger growth in herd size compared to the prior year’s 40 cows. This year’s 63-cow pace surpassed the growth that took place from 2012 to 2014 when herd sizes grew 49, 33, and 47 cows with each advancing year. For the fourteenth time in the past 16 years, the Southeast had the largest share of farms calling it quits. The 7.7 percent total yielded 185 fewer dairy farms. Since 1992, the Southeast has lost more operations than any other area, as farms fell from 12,057 to 2,225 for a drop of 9,832 farms or 82 percent. Cow numbers followed suit; there are 747,000 fewer cows, a 60 percent drop. 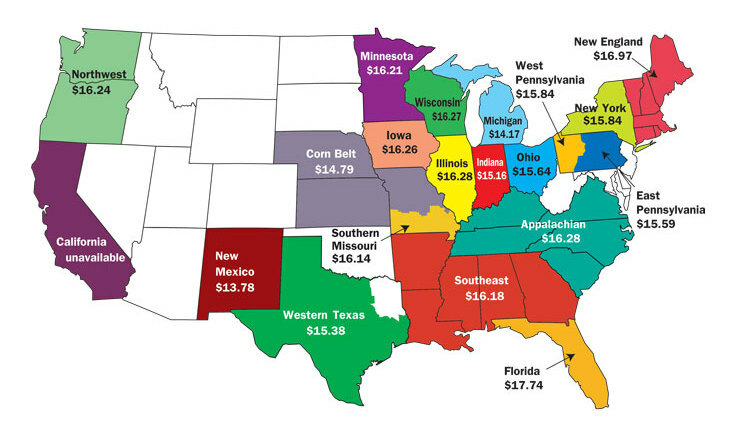 The Midwest closely followed the Southeast by losing 7.5 percent of its dairies. Overall, the Midwest’s reduction in farm numbers was the region’s highest percentage loss since 2001’s 8.5 percent. In that era, Hoard’s Dairyman partnered with the American Farm Bureau Federation to obtain milk permit data. 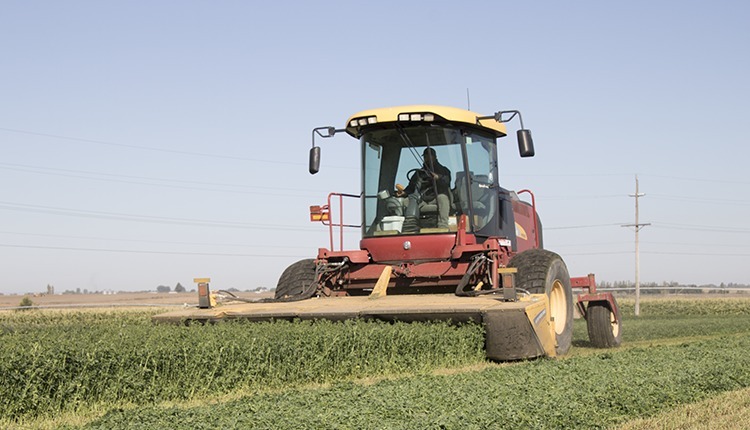 These days, USDA’s National Agricultural Statistics Service (NASS) tabulates the information. Within the Midwest, Wisconsin lost 590 dairy farms, making that the largest net loss in the country. The West retained the most dairy farms on a percentage basis as the region only fell 4.2 percent. With 8,500 farms holding permits to sell milk, Wisconsin was home to 23 percent of the country’s dairy farms. Next on the list is Pennsylvania with 6,200 farms. 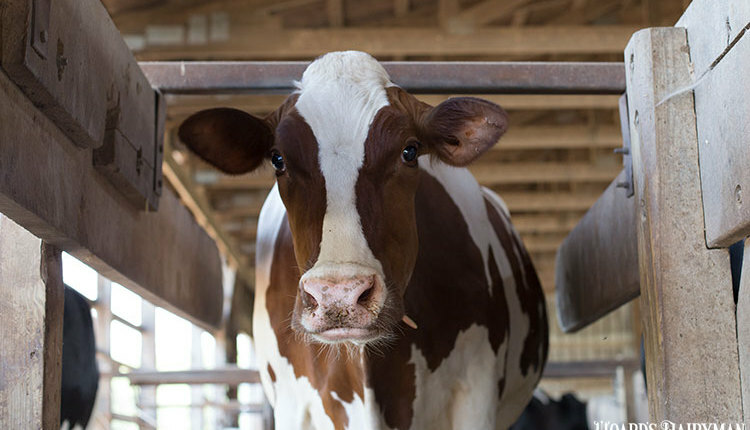 An in-depth analysis of U.S. dairy farm numbers can be found on page 173 of the March 25, 2019, issue.